We are looking for NOC Technician to join our talented and energetic team. 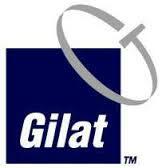 As a NOC Technician at Gilat you will perform troubleshooting on a daily basis within a working environment that includes network maintenance and performance management. · Good communication skills and teamwork, flexible.